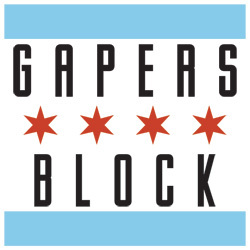 Gapers Block and Calumet Photographic invite photographers of all experience levels to participate in a photo swap on Friday, February 6, and an accompanying show that will run from February 3-11. The photo swap will work like our previous swaps. The event (which will double as the show's opening) will run between between 5:30pm and 7:30pm at the Chicago location of Calumet Photographic, 1111 N. Cherry Ave. Simply arrive at Calumet with five 4"x6" photographs of any subject you like, hang out with other photographers and then leave with five photos from others. We'll have snacks and drinks for all. The actual swapping will begin after 6:30pm, so don't worry if it takes you a little time to get there after work. 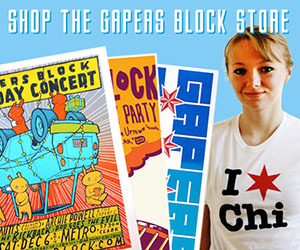 If you'd also like to participate in the show, here are the details: the show will be organized around the theme "Intersections," which you may interpret any way you like, provided the images have a Chicago connection. To submit photographs to be considered for the show, add photographs to the GB flickr pool with the tag "Intersections09" no later than January 28. If you have your submissions in earlier than that, send an email to David Schalliol notifying us that your images are in the pool, and we'll review the images ahead of time. If you do not have a flickr account, send low resolution images to David Schalliol by the 28th. Regardless, we'll promptly notify you if your photo has been selected, so you can work on getting the image framed. To expedite the process and make room for as many photographers as possible, accepted photographs should be printed no larger than 8"x12", with frames that are no larger than 11"x14". Additional information will be sent to selected participants. Any questions about the swap or the show should be directed to David Schalliol.